A luxury hotel, lashings of fine dining and a whirlwind of contemporary art? Chez Epicurienne, that’s what I call a killer combination that I’d be happy to dive into on any day of the week. 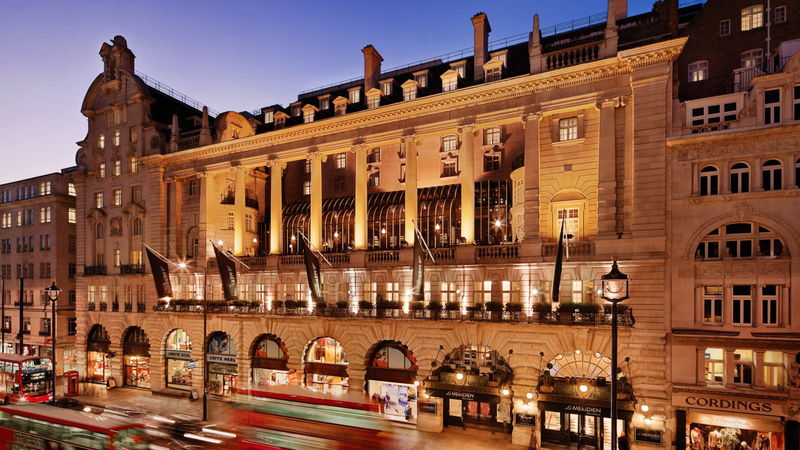 Courtesy of the Le Méridien hotel group, I was recently invited to partake of just such a tantalising synthesis of sensory stimulants during an arts-focussed stay-cation, based at their landmark hotel in London’s Piccadilly. I’m still recovering, in a good way. A top hotel’s relationship to food is a no-brainer; the two go hand-in-hand, but where does art enter the equation? In this case, Le Méridien, the forty-year old international hotel chain, has incorporated art into its properties so that wherever guests look, art will meet their eyes – be it on arrival, on relaxing, even on using their key card. Steering Le Méridien’s artistic intentions is Jérôme Sans, the French art curator and critic, in his capacity as the LM Cultural Curator. What’s more, for the past five years Le Méridien has been a principle partner and supporter of an arts initiative called OFT – the Outset/ Frieze Art Fair Fund to Benefit the Tate Collection. Through OFT, the Tate is able to bypass purchasing bureaucracy to acquire work by emerging artists featured at the annual London fair for contemporary art: Frieze. Over two days, our small group of bloggers along with various members of hotel management and Le Meridien’s PR company, Fleishman Hillard, managed to experience one art discussion panel, several types of unforgettable hors d’oeuvre, one unusual afternoon tea, six delicious meals, one international art fair, three world-famous art galleries, exhibitions various, two nights of sumptuous sleep, meetings with key art experts and personalities, a lesson in Le Méridien’s history and brand and various forms of London transport – including the water kind. For obvious reasons, I will not attempt to squeeze everything listed above into one post, lest it resemble a hefty artistic monograph. Instead, I invite you to join me on a multi-post tour of Le Méridien’s London art-u-cation. It’ll be an inspiration – for locals and visitors alike.